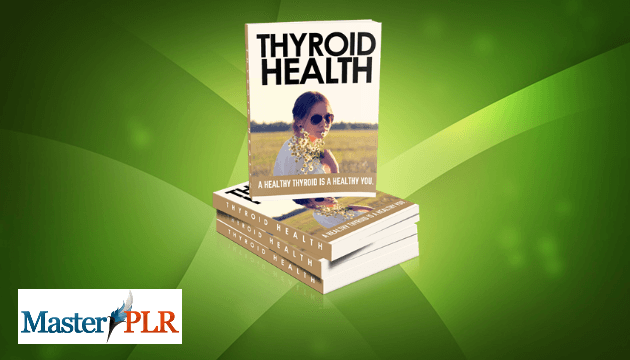 You are here: Home / Health PLR / Thyroid Health PLR Articles, Infographics & More! Thyroid health is vitally important as our thyroid plays a huge part in our overall health and wellness. 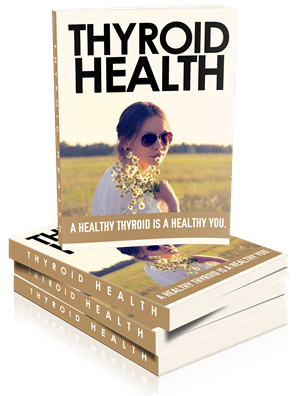 Our thyroid PLR package covers many issues regarding thyroid health. This pack is filled with solutions and information on hyperthyroidism and hypothyroidism. You will receive a private label rights license for the articles, ebook cover graphics, professional infographics, social posters and tweets. 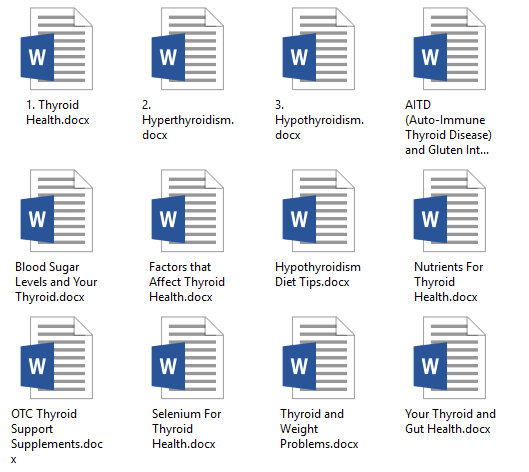 If you are in the weight loss niche this pack will help answer those questions people ask about whether or not their thyroid is the cause of their weight gain. This is a continually asked question and you will be able to provide the information they are looking for! This PLR package is full of well-researched information and you will sound like an expert! Our content isn’t filled with excessive keywords and fluff! The content is of the highest quality and you won’t be disappointed! 12 Social Posters – One for each article. Full-size infographic designed to be made into 7 individual infographics. 12 x Tweets for each article! Here is the list of article titles you will find in your package. These are not your average length PLR article! Check the word count and as we said, they are NOT filled with fluff! They are filled with valuable, researched information. Next we have supplied you with tweets so you can get started tweeting all your newly published content to your faithful followers. You can add a tweet and one of these social posters to really get your website visible and visited! You’ll receive 12 social posters in JPG and PNG formats and also the editable PSD files. Each poster corresponds with one of the articles. 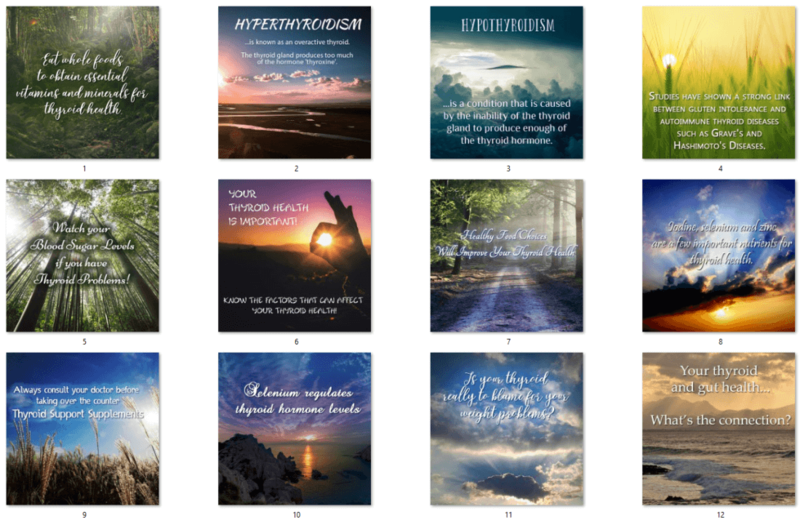 So you’ll have a poster to place with each article in your blog. They’re informative and people will share these posters! This package doesn’t have a report or an ebook, but we made it easy for you by providing 2 graphic choices for you to create your own report or book from the articles provided. The psd files are also included in this package. This infographic is of the highest quality. You are going to be amazed when you see the quality, information and size! Our packages are value for money, but this full-size infographic is worth more than this package alone. Infographics like this cost quite a few hundred dollars! So you can see the value of this PLR package! The full-size infographic measures 800px x 4,350px and has been created so that it creates another 4 infographics! The advantages of having eye-catching infographics means more exposure on sites like Facebook, Pinterest and Google+ etc. Your visitors will share all of them happily. You can see by the graphic below how large this infographic is and how detailed each section is. We would love to show you the full-size, but you will have to wait and see!